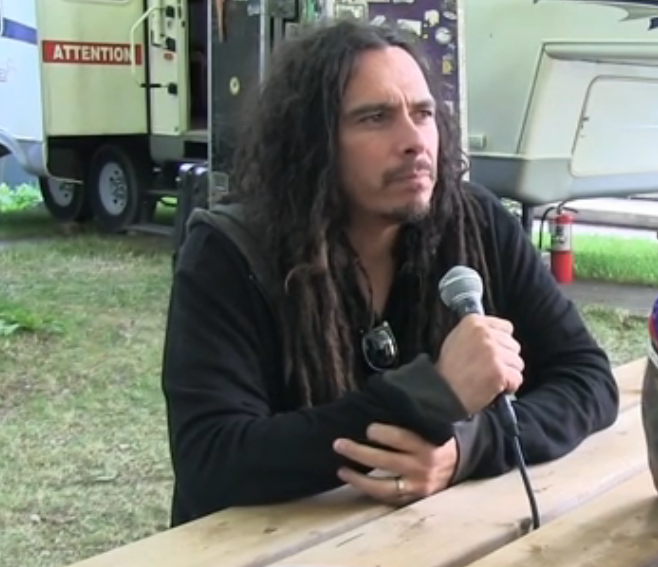 MetalRockNews: Korn's Munky: "We still get to create and reinvent ourselves on each album"
Korn's Munky: "We still get to create and reinvent ourselves on each album"
Korn guitarist James "Munky" Shaffer was recently interviewed by Chom 97.7, you can read some excerpts below. About Korn's influence on the heavy music scene of the past couple of decades, Munky said: "When we're doing festivals like this and I have other bands, or other musicians, come up to me and say, 'You had a big influence on me playing guitar,' or, 'You had an influence on our direction,' or whatever, then it starts to be, 'Wow, that's really cool.' Then you start to realize the impact that you made, and [you feel] the gratitude, because we still get to do it, we still get to create and reinvent ourselves on each album. But it's still a challenge, man. And then now, with the record industry changing, you're trying to find new avenues to discover new music from bands. Even [for] established bands, it's tough."